I have been desperately searching for a relaxed bar where I can either wear my hair in a bun, or throw on my uncomfortable yet chic Zara sandals. 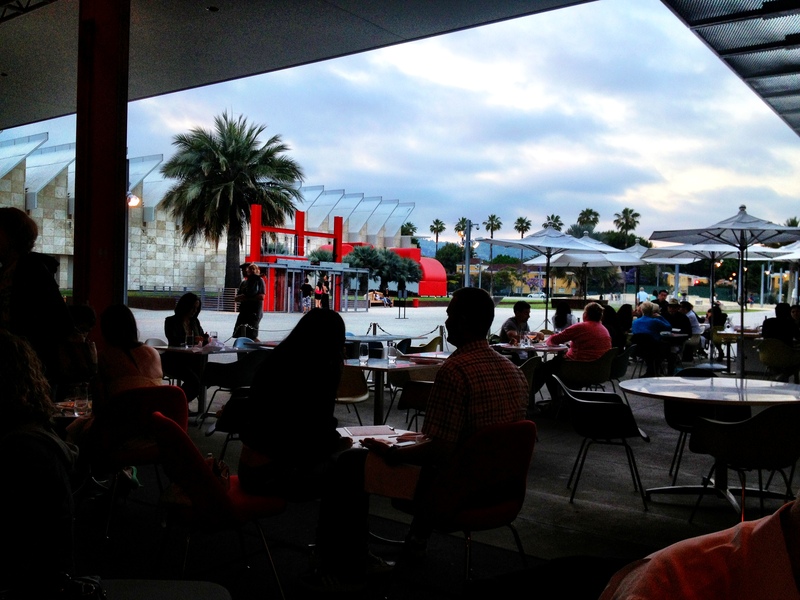 Ray and Stark’s bar located in the LACMA museum is so fabulous on so many different levels. Skip the restaurant that looks like a glass cube, and sit on the outside patio staring at the new Resnick building. The one that everyone is sipping on is the Ginger Rogers which is basically a Moscow Mule/ Mojitio. So yummy on a balmy, or these days June Gloom evening in Los Angeles. The food is dece, and waitresses are sassy but not rude. 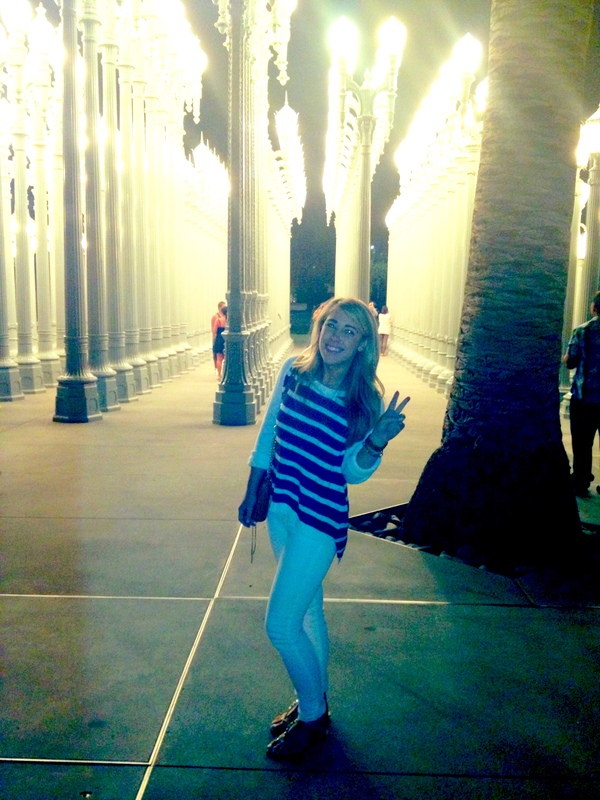 After passing the street light exhibit nearly everyday while driving, seeing it up close at night was enjoyable. 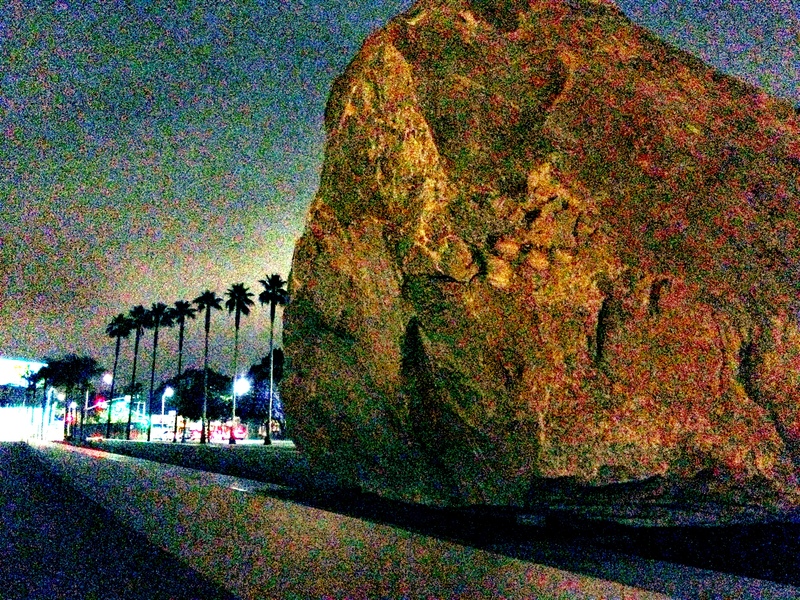 But the real highlight of my evening was chatting with a security guard who monitors the giant 340-ton boulder. 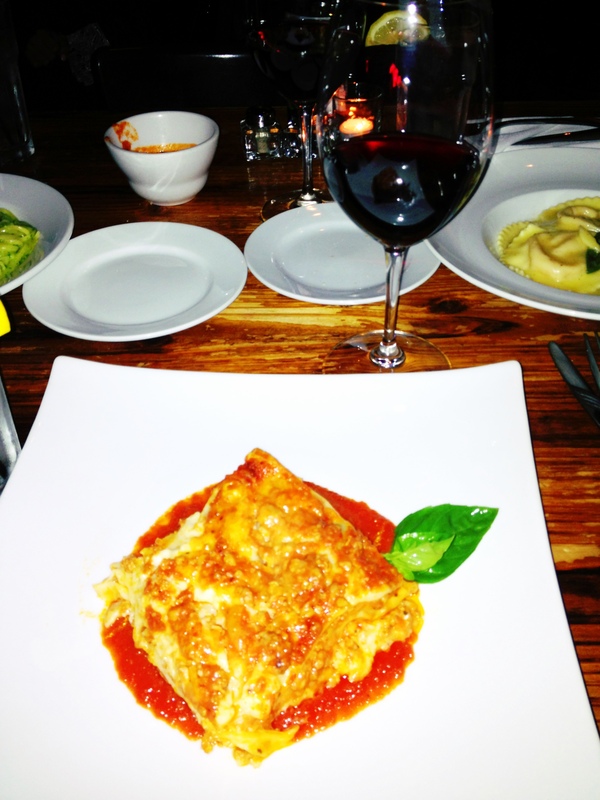 The rare lasagna from Osteria Mamma I had on friday evening. There were so many more comments and I am so thankful that I had my brother there to witness them. Ray and Stark’s also has live Jazz on Friday nights. You’ll know where to find me this weekend.